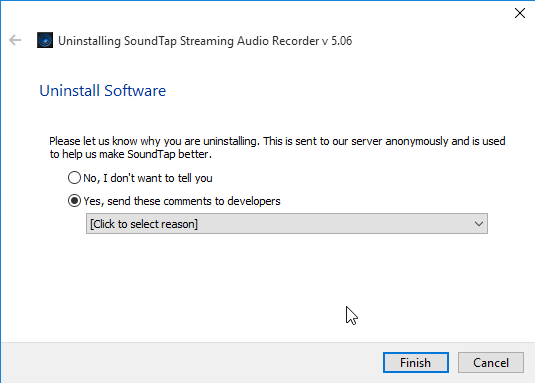 Some users have had problems with the SoundTap failing to delete, even when manual removal is attempted. If you’re one of them, read this page for correctly steps to completely remove SoundTap. 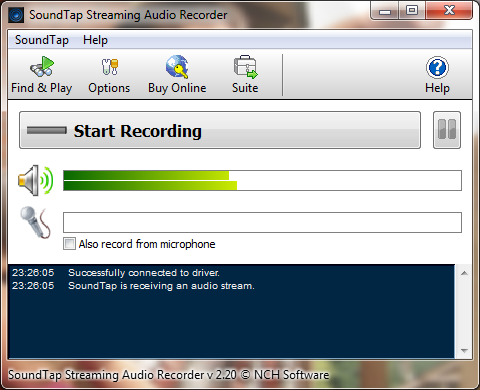 SoundTap is a software that allows you record just about most audio that plays through your Windows computer including streaming radio, VoIP calls and Instant Messaging convresations. By using the default Windows Control Panel section “Programs and Features” you may successfully remove SoundTop. But for complete removal, you need to check if some data remained in the folders that can be found on the C drive. Now let’s go through the removal in two different methods. This part is about how to normally uninstall a program on your own. You can choose to perform this in Safe Mode, better with Networking in case you need to use the Internet for update or download. Then make sure you’re using the administrator account or you know the permission password for making changes. 1. Close the program and any other related process. You can access Task Manager (by right-clicking the Taskbar and selecting Task Manager) to end the processes it if necessary. 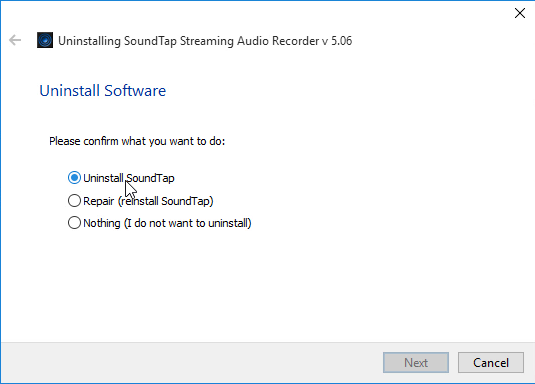 Click the Windows logo in the bottom-left corner to open the Start menu, see if there is an uninstall option under SoundTap, click it to start the first part of removal. If no, move to the next step. 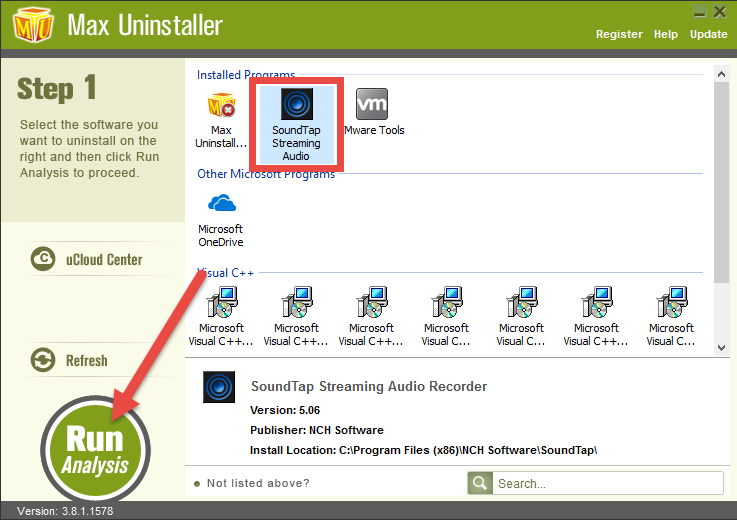 Right-click the Windows logo in the bottom-left corner to open the Start menu > select Programs and features > when the window opens, scroll down to find SoundTap Streaming Audio Recorder in the list, double-click it to activate the uninstall wizard > follow the prompts to proceed with the removal. Wait for the process to finish before closing all the open windows. Then make sure there is no other related programs of SoundTap that are still installed in the system, and perform Step 4 and 5. 4. Delete the hidden folders of SoundTap. Enable the option “Show hidden files, folders, and drives” in File Explorer: Click on Start > File Explorer > Click on the View tab at the top > Click on “Options” on the right side of the screen and open it > Inside the open window, click on View tab > enable the option “Show hidden files, folders and drives” > Click on Apply > OK.
5. Now you get to remove its written entries, before which you can choose to backup the Registry first in case of any mistake. Press the Windows + C keys on your keyboard at the same time to open the charms bar > Select Search > type “regedit” in the search box > Select regedit to open Registry Editor. 6. Reboot your computer to take effect. Skip this if you have done it yet. Now you can go back to Task Manager or Control Panel to check whether there is still anything related to SoundTap; if not, then the removal was successful. If this didn’t work on your system, continue your tour below and you shall have a much easier solution. 1. 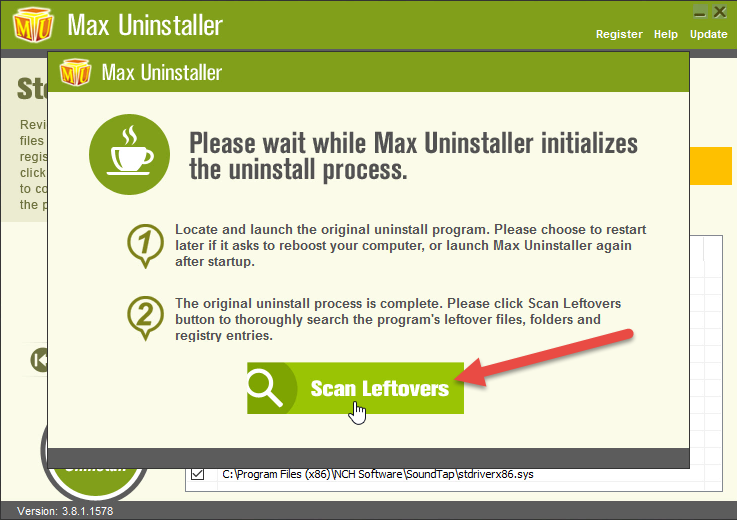 Click the green download button on the page to download & install Max Uninstaller, then run it. 2. 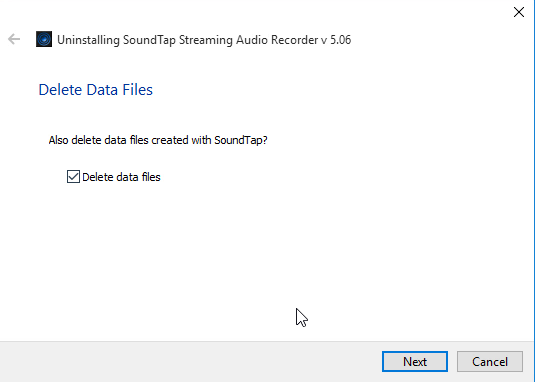 Find & select SoundTap Streaming Audio Recorder in the Programs list, and click Run Analysis, a list of all the related files will be displayed > click Complete Uninstall and follow the prompts to proceed. 3. Click Scan Leftovers when the button turns to green. This is to scan for the program’s vestiges, which will also be displayed in a list. You can review the list for details, then click Delete Leftovers to remove SoundTap. 4. To check whether you’ve done the removal well, click Back to Step1. You will be brought back to the programs list, where you can see all the currently installed programs on the system. For any advises you would like to share towards how to better remove SoundTap, let us know by leaving comments below.